Amadas, a start-up drawing global attention with its “smart door lock"
Now it’s time to take a close look at a small but competitive business making a difference for the Korean economy. 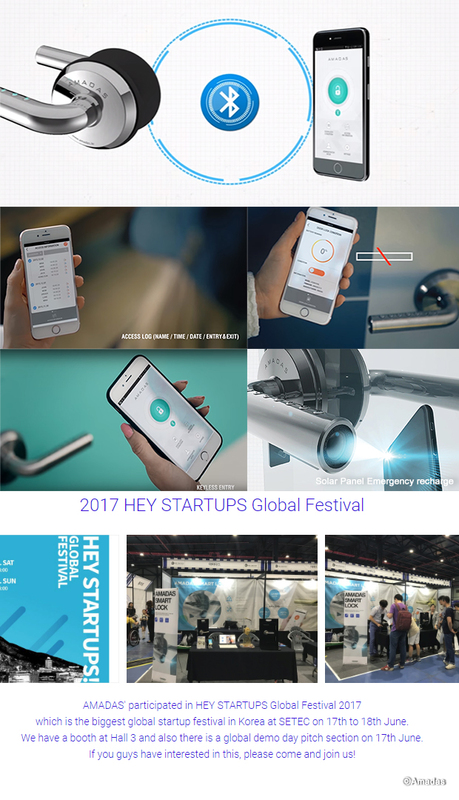 The “Hey Startups Festival,” an event introducing brand new venture startups, was held in Seoul on June 17 and 18. During the event, more than 150 startup firms showcased their innovation and competitiveness. 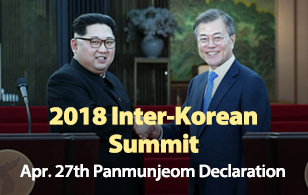 Over the next four weeks, we’ll meet with startups that are expected to lead the future of the Korean economy. First, we take a close look at Amadas, a company drawing the attention of many global businesses. Here’s Amadas’ CEO, Park Eun-min. Digital door locks that are locked and opened with passcodes or smart cards instead of keys have been used in Korea for around 20 years. However, keys are still in use in other parts of the world. That’s why digital door locks are now considered a promising export item for Korea. Especially with the introduction of Smart Home systems, where all appliances in a home can be controlled through IT, the global smart door lock market is expected to reach about 24 billion dollars in size by 2024. Noticing the potential, Amadas CEO Park Eun-min launched her startup at the age of 27. The digital door lock designed by the young and passionate venture firm is fundamentally different from the rest. There is no single global standard for door locks, because there is no such standard for doors. That’s why I thought it would be safe and sturdy as well as convenient to create a product that combines IoT and mobile technologies that can also be installed easily by anyone. All functions are installed within the lever, or the handle. All of the electronics and motor controls are contained in the lever. It’s our original and unique technology. It cannot be easily imitated. In order to install a common digital door lock, one must first choose a product that corresponds with the thickness and the material of the door. Once such a product is found, a specialist must be brought in for the installation. However, the digital door lock developed by Amadas can be installed on doors of any type just by replacing the lever. Built within the lever is a Bluetooth module that connects to the network. Amadas’ products are made using 13 original technologies patented at home and abroad, and they are leading the evolution of door locks. People think that using a smart door lock means that you can only lock or open the door using a smartphone. However, our products allow you to unlock a door using the buttons on the topside of the lever or by tagging a digital card as well. In addition, when the battery runs low, you can use the flashlight function of your smartphone to temporarily charge the battery. But the biggest advantage of our smart lock is the maximized security feature. You can keep a record of who went in or out and at what time, and you can even check the log in real time. The record can be viewed through the smartphone app. Amadas’ door locks not only allow users to lock or unlock the door using a smartphone application, but they also enable them to check the door’s status, remaining battery life, and real-time entry information. Such features would make it much more convenient to use hospitality platforms such as Airbnb. For instance, instead of meeting with the guest to hand over the keys, the host can set a password that’s usable for only a designated period of time using their smartphone. Amadas’ door locks may also be used without a smartphone as there are keypads on the lever. Made of stainless steel, the levers are also safe, durable, and fire-resistant. Thanks to its innovative idea, Amadas was able to receive much support even in the early stages of product development from organizations such as the Korea Technology Finance Corporation, Industrial Bank of Korea, and Small and Medium Business Administration. The company’s value was recognized once again last year at the Mobile World Congress (MWC), which is the world’s largest exhibition for the mobile industry. MWC 2016 was the first large international exhibition that we took part in, and it was the most memorable experience of my life. During the exhibition, representatives and owners of large companies came to see us themselves, and recognized the technical skills that went into our products. We met with representatives of leading telecom companies, platform companies, and even Apple. I will never forget the feeling. We were able to forge global partnerships, and now we can supply the smart door locks to telecom companies. We’re also preparing to supply them to companies or company departments tasked with managing sharing businesses, such as shared houses and shared offices. At MWC 2016, Amadas was offered partnerships by Apple, Spanish telecom company Telefonica, French telecom company Orange, and Denmark’s biggest door lock company Bekey, among others. They saw that they would need Amadas’ technology if they want to move ahead of others in the smart home era. Amidst strong attention from around the world, Amadas will soon start producing its products in the latter half of this year. With the release of the digital door locks, the company will start to spread its wings. The truth is, Amadas is not a door lock maker. Amadas is a mobile friendly company, and the door locks are the result of the optimization of technologies requested by AI businesses, platform creators, and other internet businesses. This means that the door lock is not our final product. It’s our beginning. 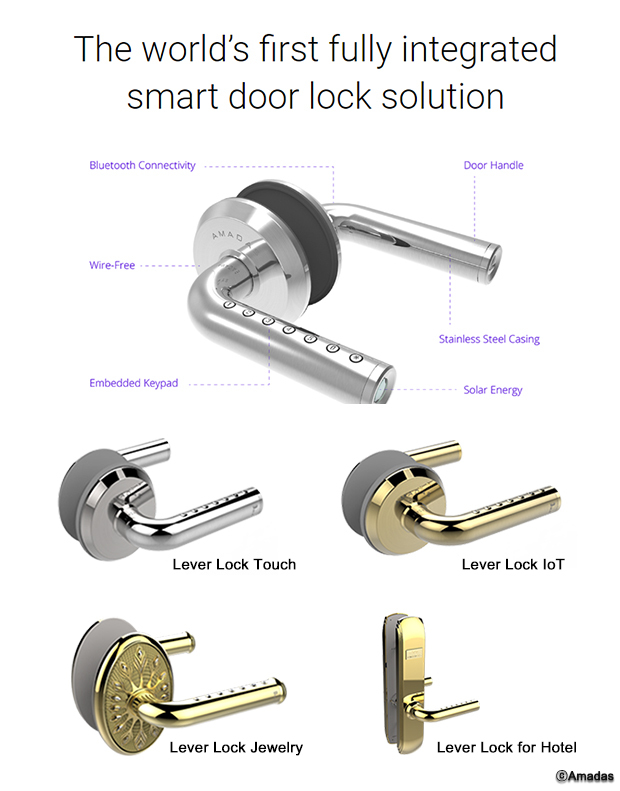 Our first goal is to release the product this year, and our second goal is to roll out new lever locks that we developed using very complicated technologies. We’re also preparing our next products, including artificial intelligence. 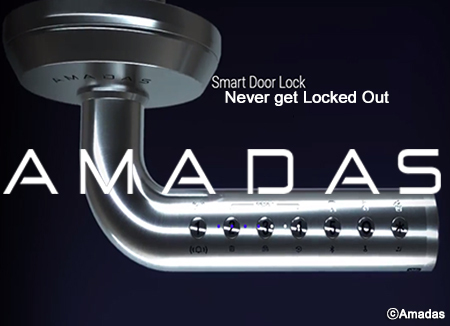 The smart door lock is the starting point of the smart home, and Amadas is using it as a stepping stone leading into the fourth industrial revolution. Expectations are high for this company full of passion, courage, and technical skills.